Studying a modern map of Athens may allow for the pinpointing of the industrial suburb of Eleusis. The location of Eleusis is at the northernmost end of the Saronic Gulf, and it has, in recent decades, developed into the primary entry point for oil and fuel into Greece. A tourist to Athens today, is unlikely to visit Eleusis, and yet in antiquity, for hundreds of years, visitors from across the Ancient world visited the small settlement, making it one of the most important places in the Greco-Roman world. 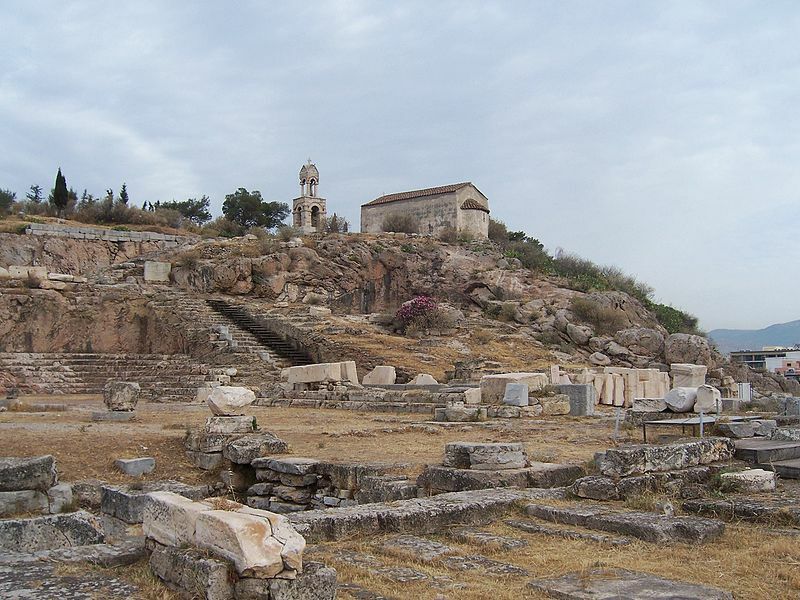 The reason for the importance of Eleusis was due to its connection with the Greek goddess Demeter, for at Eleusis, the Eleusinian Mysteries were undertaken. Demeter was one of the twelve Olympian deities in Greek mythology, although her worship predated the rise of the Hellenistic religious practices. In essence though, Demeter was a highly revered agricultural goddess throughout Greece in antiquity. The most famous story about the goddess Demeter from Greek mythology, revolves around the goddess’ search for her missing daughter Persephone; Persephone having been abducted by Hades, for Hades wished to make Persephone his wife. Demeter wore herself out searching the earth for her daughter, but she would eventually stop and rest at Eleusis. The people of Eleusis did not see an Olympian goddess though, and simply observed an old lady by the name of Doso. Nevertheless the old woman was welcomed, unlike elsewhere upon Demeter’s journey. At Eleusis the daughters of King Celeus, even brought her to the royal palace so that she might recuperate. To reward the hospitable welcome she had received, Demeter decided to make Demophon, the infant son of Celeus immortal, this she planned to do by burning his mortal spirit away (the similarities with the Achilles myth are obvious). Celeus though discovered the “old woman” midst act, and of course became incredibly angry at the thought of harm being done to his son. Demeter revealed herself for who she was, and ordered the king to build her a temple; this the people of Eleusis quickly did. Once completed, Demeter left the palace and made the temple her new home, promising not to leave until the location of her missing daughter was discovered. With Demeter refusing to undertake any of her agricultural activities, a great famine spread across the world, and people began to starve. 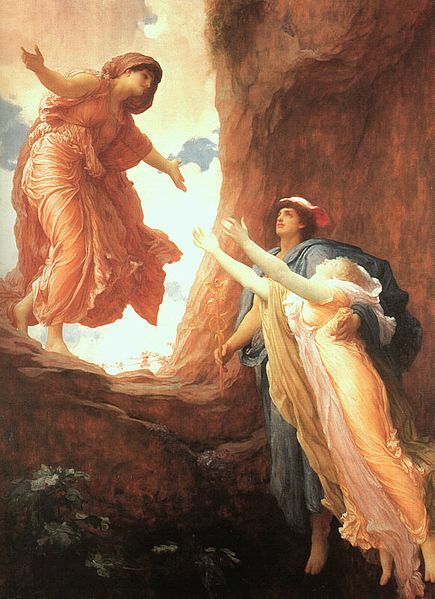 Eventually, Zeus had to reveal to his sister what had happened to Persephone, and eventually mother and daughter were re-united; although only for a part of the year. Subsequently, when mother and daughter were together crops would grow, and when the pair were separated growth would stop. Once again, in gratitude to the people of Eleusis, Demeter would teach Triptolemus, possibly a son of Celeus, the secrets of agriculture, and this knowledge would be taken by Triptolemus from Eleusis, and taught to all populations within Ancient Greece. Demeter would also induct King Celeus as her first temple priest at Eleusis, and it was to him, and the other early priests, that the goddess would teach the sacred rites that would allow converts to prosper. The rites would also give hope to those inducted that there might be a happy reunion with those who had gone to the afterlife, just as Demeter had been re-united with her daughter. These sacred rites would of course lead to the Eleusinian Mysteries and the cult that grew up around it. From the very first moment the Eleusinian Mysteries were important, but their fame and size grew when Eleusis effectively became a suburb of its larger and more powerful neighbour, Athens. Everyone in Eleusis and Athens had the opportunity to be initiated, and it did not matter whether the person was male or female, citizen or slave. The full details of the Eleusinian Mysteries were only known to those initiated but as well as very private elements of the Mysteries, there was also a very public display of some parts of the Eleusinian Mysteries. The first part of the ceremonies took place at Agrae, a small town on the banks of the River Illisos, during the month of Anthesterion (February/March). This part of the ceremony was known as the Lesser Mysteries, and was a ceremony designed to find out whether potential initiates were worthy of going further into the mysteries. The Lesser Mysteries primarily involved the initiates making a sacrifice to Demeter and Persephone, before cleansing themselves in the River Illisos. Six months later, during the month of Boedromion (September/October) the Greater Mysteries would begin, with this part of the ceremony lasting a week. One of the Eleusinian priests would conduct a sermon, initiates would then cleanse themselves, and then a procession would be undertaken from Athens to Eleusis. During this time no food would be partaken of, but then, at Eleusis, a feast would be held. The last act of the greater Mysteries would see the initiates enter the Hall of Initiation at Eleusis, a sanctuary that contained a sacred chest. The belief is that those in the hall would then witness powerful visions, possibly brought on by the use of psychedelic agents. No-one exactly knows what occurred during this final stage of the Eleusinian Mysteries though, as no written records were taken, and initiates were sworn to secrecy by an oath that would lead to their death if they broke it. The Eleusinian Mysteries would last for 2000 years, and as the power of Rome increased, so the ceremonies were incorporated into the religious rites of the Empire. Eventually though, a decline began. During the reign of Marcus Aurelius, Eleusis was sacked by the Sarmatians (c170AD), although the Emperor did pay for the rebuilding of Demeter’s temple. The Roman Empire though would eventually move away from the religious connotations of multiple gods, and Christianity would become the state religion. Emperor Theodosius I would, in 379AD, call for all pagan sites to be closed down, and Eleusis was all but destroyed in 395AD when the Visigoths under Alaric the Gothswept through the region.